Yamaha didn’t bother updating its previous XMAX 250 to meet 2017’s EU4 emissions laws and instead saw it as an opportunity to launch the all-new XMAX 300. We’re very glad they did as it’s resulted in one of the most complete and convincing scooters you could hope to own. 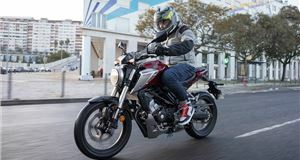 Occupying that middle ground between the urban trot-abouts in the 50- and 125cc classes and larger maxi-scooters, the MXAX and its obvious rival from Honda reside in the midi segment. It may not be the most populous part of the market, but it’s one that deserves far more attention in the UK. Look about any capital in Europe and you’ll see plenty of these machines putting in sterling performances as city-busters. 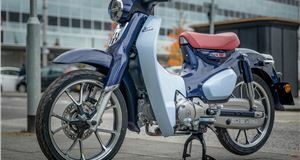 They also work as a real alternative to a car, so plenty of drivers could free up time and reduce the stress of commuting by swapping to a midi-scooter. 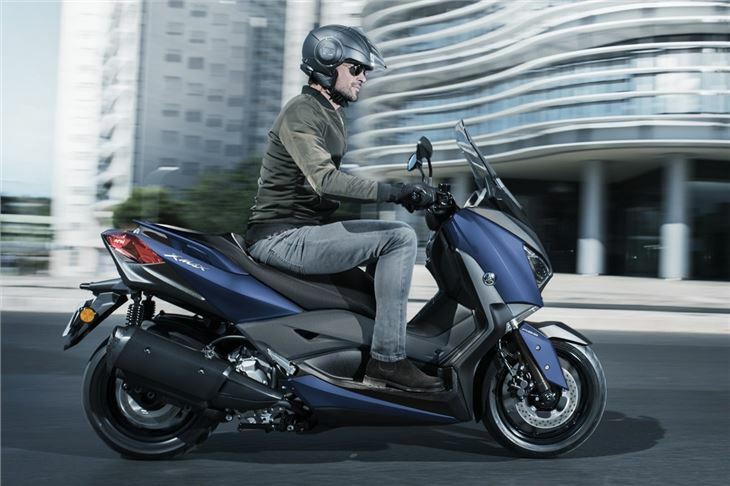 To appeal to those car drivers who would only have to pass a CBT to swing a leg over the XMAX 300, Yamaha has blessed this model with some very four-wheel-alike features. Starting with the keyless ignition, you just keep the fob safe in your pocket and turn the dash-mounted dial to fire up the 292cc motor. 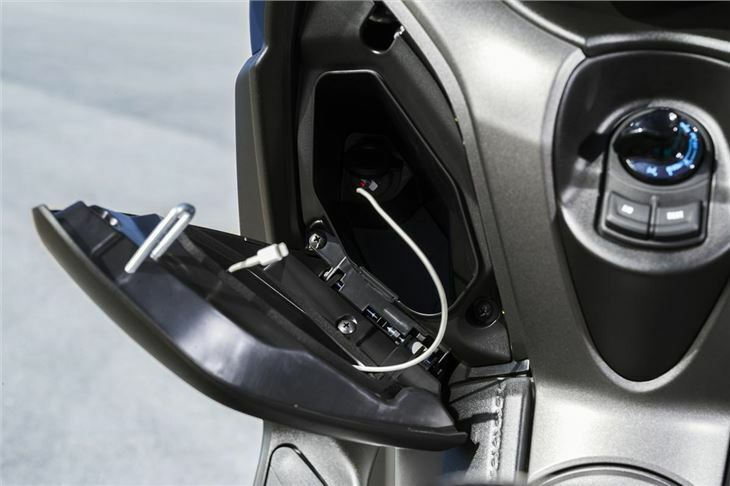 Or, you can twist the other way to pop open the fuel filler, flip-up seat and lockable glovebox. That glovebox has a 12-volt power socket, so you can feed a sat-nav from this or charge a mobile phone with it securely stashed away. If we’re being picky, a USB port might be handier nowadays, but at least there’s a weather-proof source of electricity. The main dials also resemble something you’d expect to find in the average hatchback car. Large, clear analogue instruments for the speedo and rev counter give at-a-glance information, while the digital centre display shows duel, temperature and trip information. The warning tell-tales are also easy to see even in bright daylight. 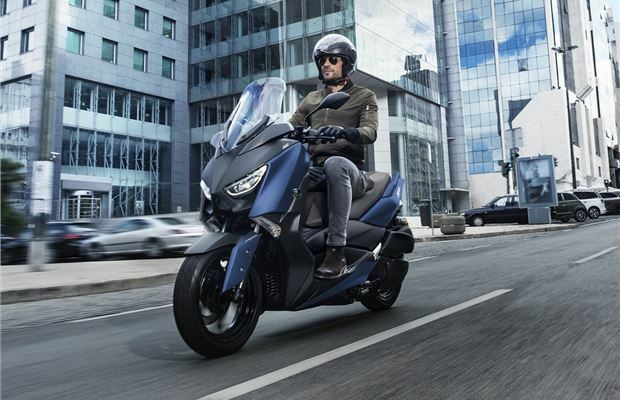 When you factor in the excellent quality of the plastics, top drawer fit and finish and a large standard screen that can be adjusted up or down by 50mm, the XMAX shows none of the demerits many car drivers might level at a scooter. You have large rear view mirrors, too, and the usual simple controls for throttle and brakes, though the levers are non-adjustable. One point that could deter riders is the tall seat height. At 795mm, it 30mm higher than many similar machines. 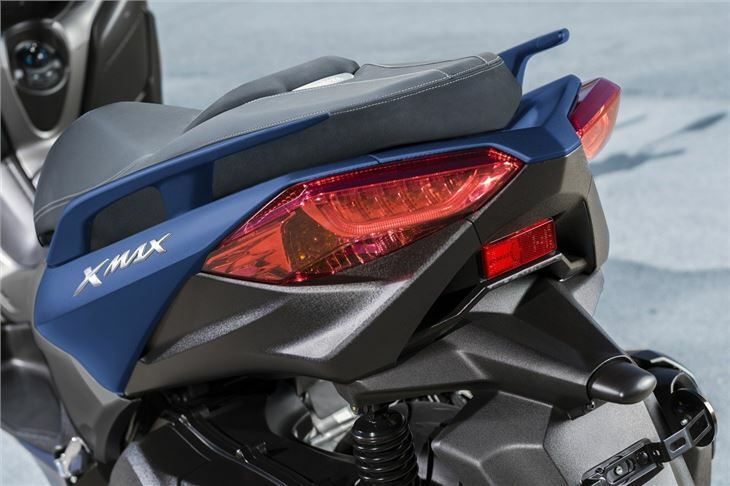 Yamaha’s design means there as a hefty centre chassis spar running down the spine of the XMAX 300, so you definitely have to swing a leg over rather than through it to settle into the saddle. 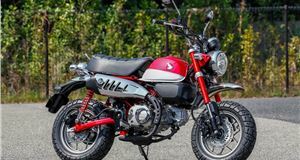 The seat height means some riders might also find placing a foot flat on the ground a little tricky, which is not what you want on a scooter that weighs 179kg when topped up with fuel. However, that weight instantly melts away the moment you pull away on the XMAX. It’s very stable and that heft gives it a feeling of solidity and presence smaller scooters miss. The bright LED headlight gives good illumination on a dull morning start and alerts other drivers to you being there. The 292cc motor packs 28PS, so you can always get ahead of the pack as the lights turn green. There’s loads in reserve for passing slower vehicles and the Yamaha is happy on the dual carriageway or motorway thanks to a top speed in excess of 80mph. Again, it feels planted and secure in this environment where some competitors just don’t. 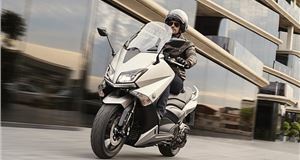 The pay-off for this very grown-up, smooth riding nature is the XMAX is not the last word in nifty agility through town. Even so, we found threading through lines of vehicles was easy and even at low speeds we didn’t need to drop our feet as the Yamaha gives great confidence. Adding to that is a standard ABS braking system that operates on the front and rear discs, while the TCS traction control system provides a safety net on worn smooth city roads and greasy corners. As for the ride quality, it’s better resolved than some larger maxi-scooters. A 15-inch front wheel lets the XMAX drive over most potholes rather than slamming into them, while the 14-inch rear wheel helps when tipping into corners. At the end of the journey, you have both side and centre stands to choose from. And there’s one of the biggest underseat storage areas we’ve ever seen on a scooter. It’s more than big enough to stow a pair of full-face helmets with space left over for a lap-top computer or some shopping. You can add to this with an optional top-box, which also acts to give pillions something to lean against or they can have their own backrest cushion. Another extra is the Comfort Seat, but we found the standard item more than padded enough for our posterior requirements. 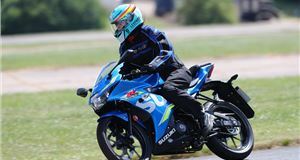 It’s telling that among the other cost options for the XMAX 300 are bar muffs, heated grips and a console to offer even more storage. This all points to a scooter that has cleverly been designed to appeal to those looking to move up a size and to car drivers bored of sitting in jams. If this high-class Yamaha midi-scooter isn’t enough to convince them to make the swap, they deserve to sit and stew in congestion. Top speed 85mph (est). Fuel consumption 75.0mpg (est). VED £41.